NEWS: All-new Pumpkin Flat White in Testing Now. Move aside ordinary PSL! 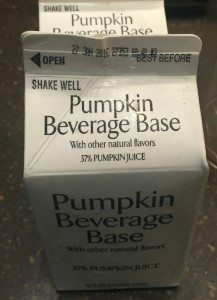 This is not Pumpkin Spice syrup and milk steamed together. 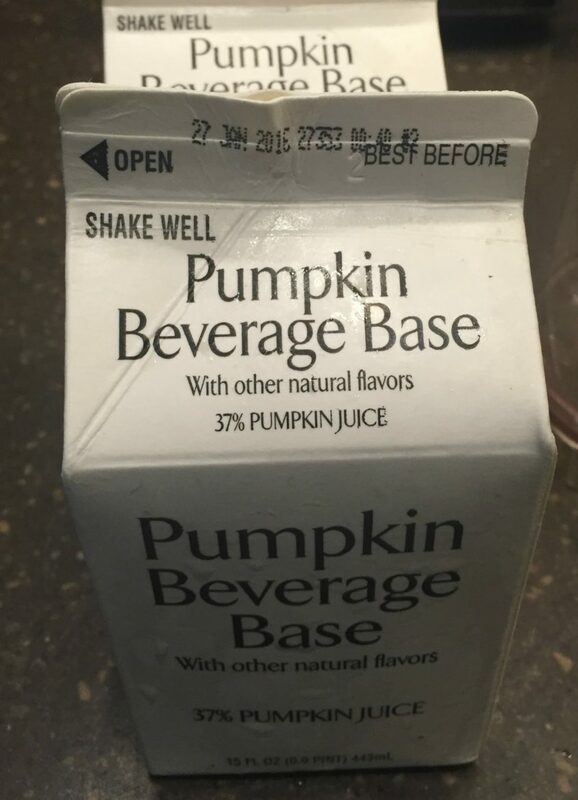 You might recall, this year the Pumpkin Spice Latte went through a big recipe change. The syrup this year is more natural than in past years. So what is the Pumpkin Flat White and where would you find it? The Pumpkin Flat White is being tested in Chicago-area Starbucks stores. I believe that stores that got the Pumpkin Flat White did not get the all-new Toasted Graham Latte, though I’m not 100% certain of that. 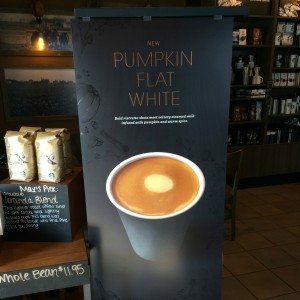 There are some things to know about the new Pumpkin Flat White test beverage. First off, it contains egg. 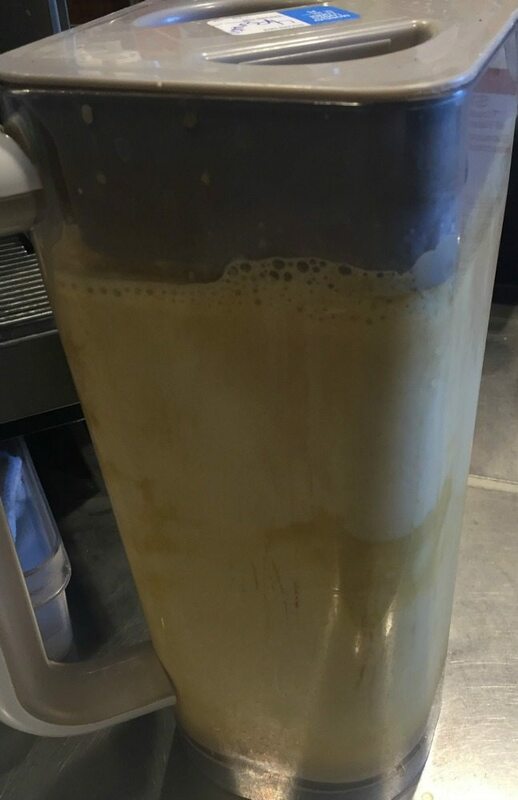 The final base is a nog-like product. Also, I have been told that the new Pumpkin Flat White uses organic pumpkin. I have joked that Starbucks is the king of creating “new nog.” It is amazing how they can innovate around new beverages. I strongly recommend reading my past article on the French Vanilla Custard Latte, which also was a test nog-like drink (and absolutely delicious)! I always like to keep you up to date on Starbucks test items, new up and coming drinks that will be released soon, new promotions and more. Please enter your email address and subscribe to get all the latest Starbucks news. In the desktop view, there is a place in the right sidebar to enter your email address to subscribe. Find even more test items in the “test category” on this Starbucks news website. Melody's Tips on Brewing Coffee at Home. 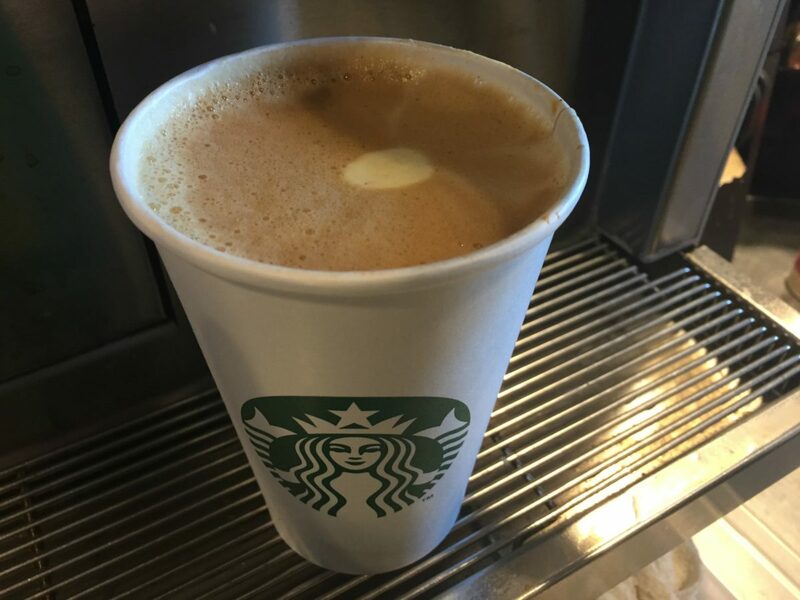 NEWS: White Chocolate Mocha: To the rescue in your most trying times. 350 Starbucks have Gluten Free Breakfast Sandwiches. The Small Starbucks Snack Food Test: Gluten Free snacks. I can confirm they are in Chicago, I saw a banner walking through Ogilvie. This sounds good to me. I loved the Egg Nog Latte, and it was fabulous iced. Dang, I was just in Chicago all weekend and didn’t notice. Sad side affect of mobile order and pay I guess. I just walked past everyone and grabbed my Clover brewed. I can confirm that at least at the Clover store in Mt Prospect (nw suburban Chicago) we have both: the Pumpkin Spice Flat White (which I love!) and also the Toasted Graham Latte, which I have yet to try. I’ve only noticed the big signage for P.S. Flat White but I believe the Toasted Graham Latte is on the board. In any case, we definitely have both…and I just called the store to double check! Had one yesterday in River Forest, Illinois. It was delicious!! @DeniseR – The Toasted Graham Latte is pretty good. You should try it. I let mine sit too long and the graham settled to the bottom and became muck, but I enjoyed it. BTW – Did you know they opened a new store with a Clover @ Harlem/Lawrence – Gunnison? @Mary – Are you a regular at the River Forest store. My wife claims that store is very disappointing with consistency. @Chgo: Have not tried the graham latt yet but maybe I will1 I’m pretty stuck on the PS flat white right now…when I get anything other than a Clover coffee. But I should try it….the sm at my store in Mt P. is really great about : if you don’t like it, we’ll make you something else! re: the RF store….don’t go there that often but have always had a good experience. I guess I might have a different opinion if I went everyday!